The Chiropractic Source is a health and wellness facility located in Cedar Grove NJ. Our office was founded by Dr. Marco Ferrucci and Dr. Timothy Lyons and we strive to be your source for optimal health and wellness! Dr. Marco’s expertise lies in Postural Correction, Neurological Development and Functional Nutrition whereas Dr. Tim’s passion and experience lies within hands-on Chiropractic and Rehabilitative Therapies. This combination makes us a formidable team. Our clients range from traditional chiropractic patients with neck pain, back pain and headaches, to more specialized patients such as children with ADHD, Autism and Dyslexia. We also help elder patients with balance and other chronic degenerative issues. Massage Therapy in Cedar Grove! 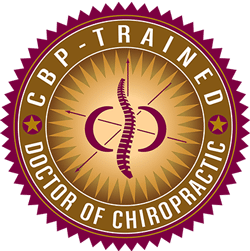 The Chiropractic Source not only helped end my constant headaches and neck pain, but did something more remarkable; they gave me my life back! Dr. Marco earned his chiropractic degree at Life University in Marietta, GA, one of the most prestigious chiropractic universities in the world. Dr. Tim is a graduate of New Jersey City State University. Dr. Tim’s passion and experience is with hands-on Chiropractic and Rehabilitative Techniques.